Economy is a combination of good hull design, and propulsion efficiency. The experience of world leading marine architects along with thousands of hours of computational fluid dynamics were brought together to make the hull as economical as possible. 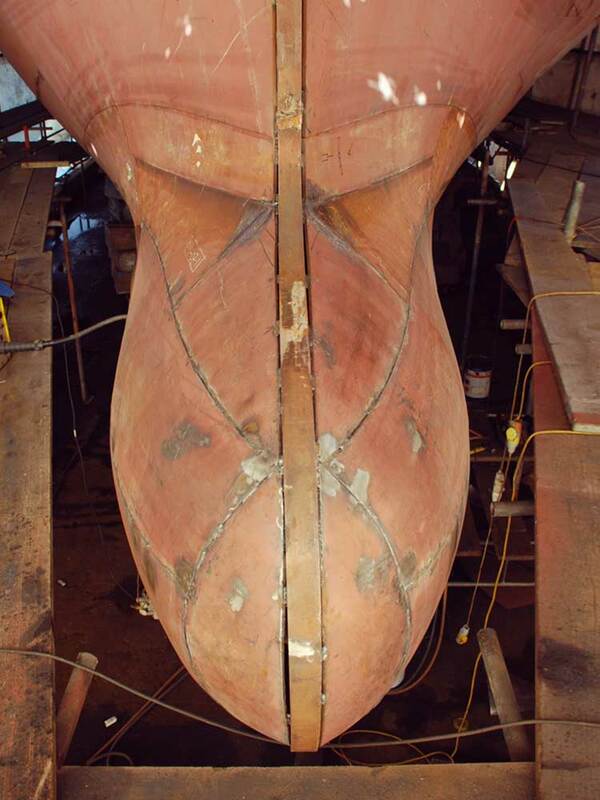 Flowing lines, bulbous bow, and details right down to the fairing of the stern plate all add to smooth and uninterrupted flow of water into the propeller. On the propulsion side a large, single, slow turning propeller is unquestionably the most efficient. Most modern yachts opt for a twin engine installation but it has been shown that a large single propeller can be as much as 40% more efficient and so this is the system we have adopted.